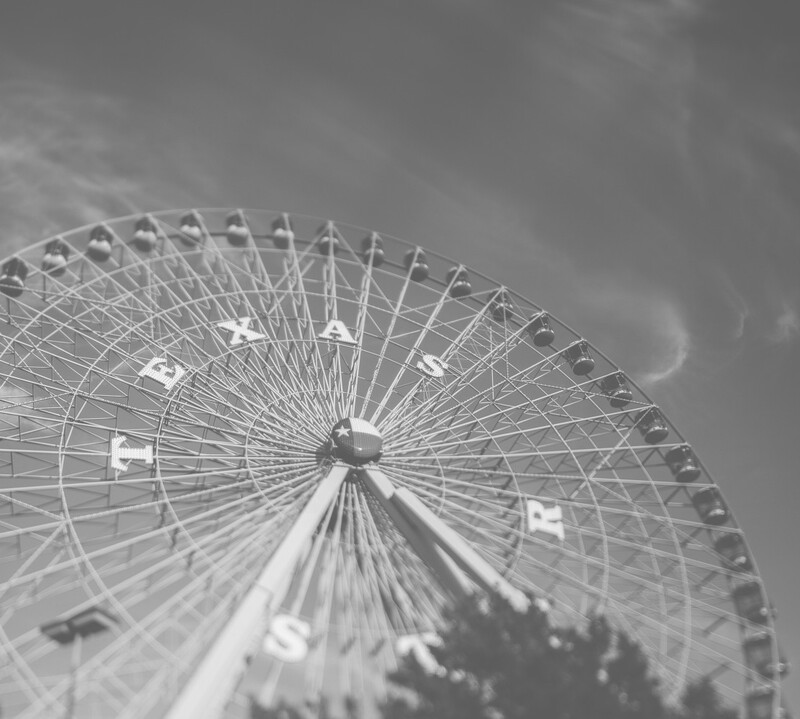 household organization | LOVE LETTERS TO HOME. So as a woman, lover of all things beautiful, and fashion major, I have collected white a few pieces of jewelry for being so young. Every girl loves a little something that sparkles. I, however, and one of those people that unless all my options are out in front of me I tend to forget all the wonderful pieces I have. So my jewelry ends up hanging from door knobs (yes that is my current solution) or strewn out on my dresser getting tangled. 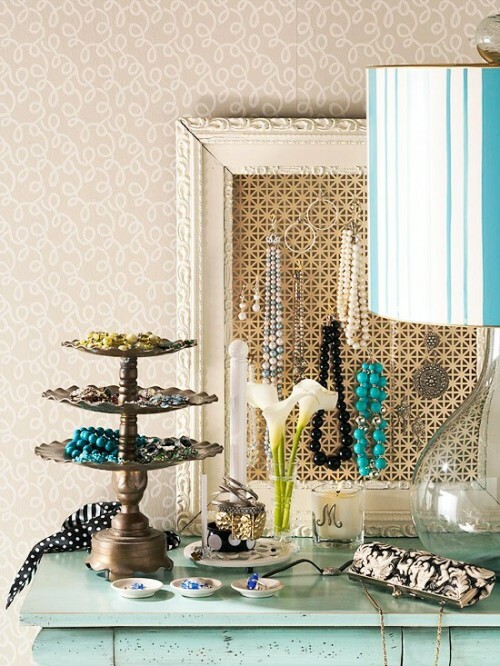 Here are some of my inspirations (and of course ways to recreate them) on how to organize and display your jewels without sacrificing style. This is the Scrollwork Gate Jewelry Stand at Urban Outfitters for $29. 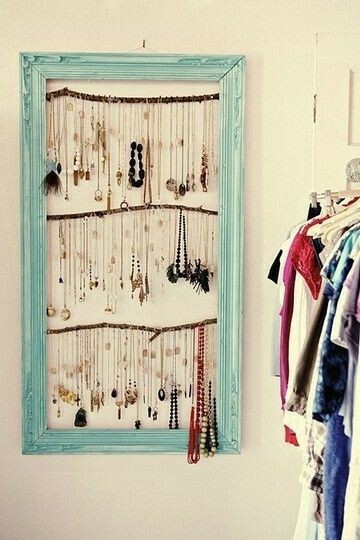 Great for necklace lovers of all kind! 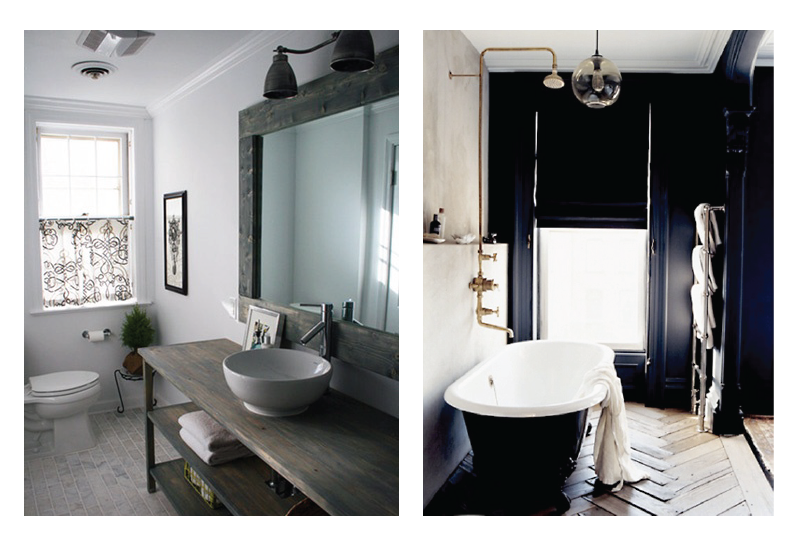 Also great for someone with not a lot of countertop space! If you’re just a simple jewelry gal then this Eiffel Tower Ring Dish from Anthropologie (only $12) is perfect for your nightstand or by the sink in your bathroom! 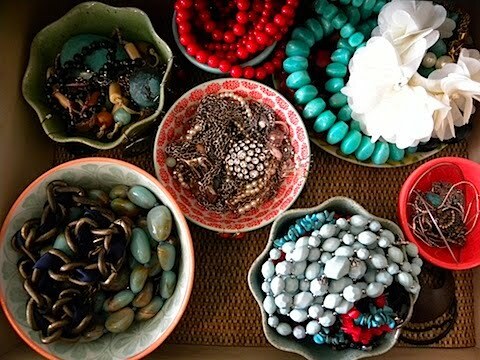 If you have a little bit more space, try filling one of your dresser drawers with these cute bowls from Anthropologie to store your jewels. This is the Atom Art Bowl (in Balck Motif) for only $8. Last but not least is the Great White Tiered Stand at Pottery Barn for $45. 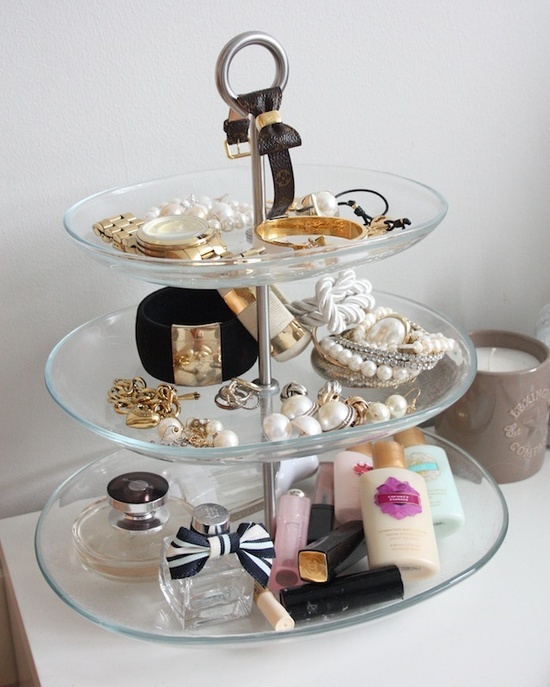 Originally a cupcake tier for entertaining, this is perfect for separating the different size pieces of jewelry you may have! As a woman I have a million different things I keep in my bathroom. 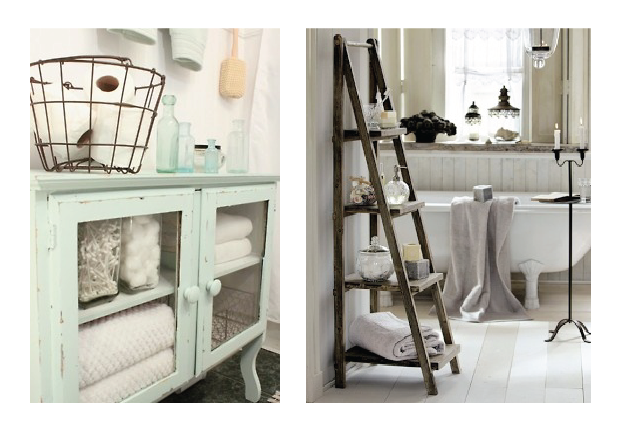 It has always been a struggle for me to keep my bathroom organized and clutter free! 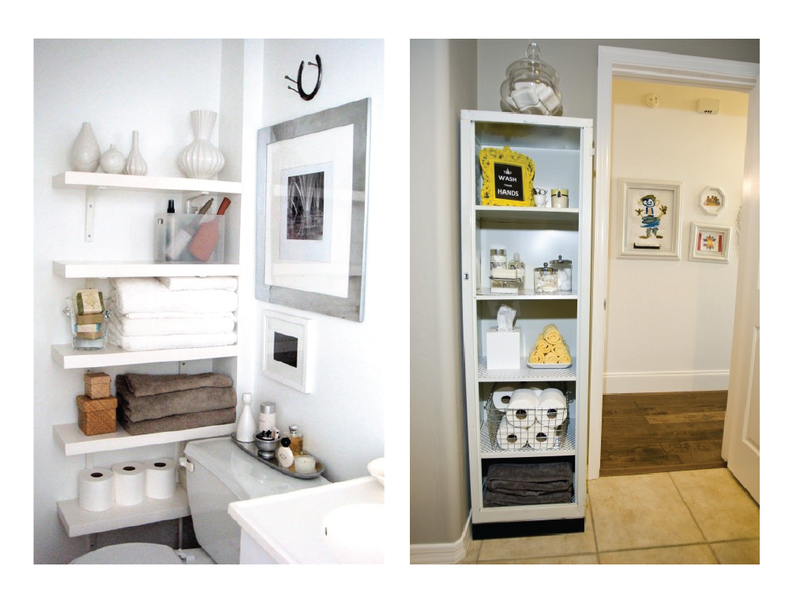 Here are a few of my organized bathroom inspirations and how to recreate them in your own space! 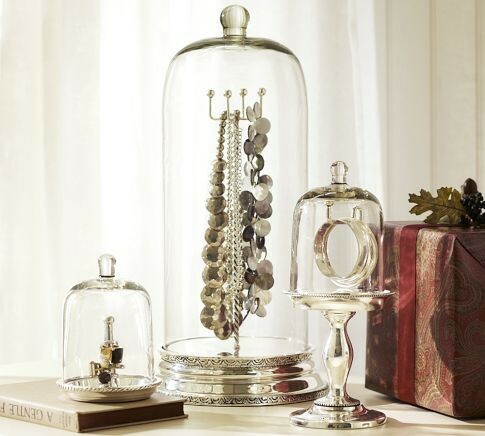 Organize your counter tops with Pottery Barn’s Classic Glass Canisters. These add a little style to otherwise ordinary household objects and range from $19 to $44. Add seating and storage with the HERMNES bench from Ikea for only $80! For even more organization throw a few woven baskets under the bench to hold towels. These are the Braided Console Basket from West Elm for only $24.